Push the control A to adjust the brightness of instrument panel lights when driving at night. 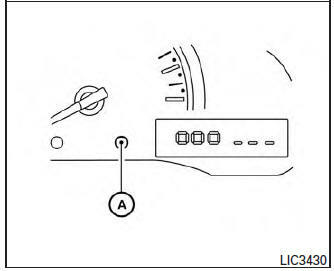 When the ignition is on and the knob is pushed, the illumination decreases. The brightness will return to the maximum level when the brightness is at its minimum and the knob is pushed.